Many artificial nails attempt to closely resemble the appearance of true fingernails so that you cannot actually determine that they are really fake ones. 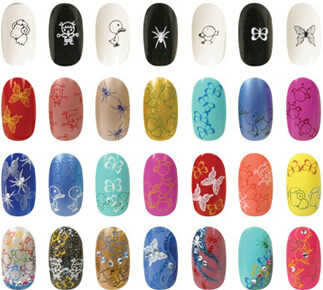 There are different kinds of artificial nails but the most commonly used are Acrylic Nails. Acrylic Nails are artificial nails applied on natural nails or can also be applied on nail tips. Artificial nails, also defined as false nails, nail enhancements, fashion nails, or nail extensions are applied as coatings over fingernails. It is worthy to know that artificial nails are not used as a replacement of true nails, but an extension for natural nails. 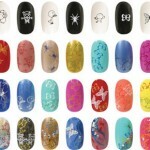 The two main approaches to creating nails artificially are forms and tips. Forms are fitted over the fingernails as the artificial ones are molded or shaped out of acrylic. . On the other hand, tips are composed of lightweight plastic plates shaped as nails. As these are glued to the natural nails, afterwards is the application of acrylic over the entire nails. One famous material for artificial nails is known as Polymethyl methacrylate acrylic which is a combination of a liquid monomer and polymer powder. The mixture begins to harden in 30–40 seconds right after application and finally hardens typically within 15 minutes. 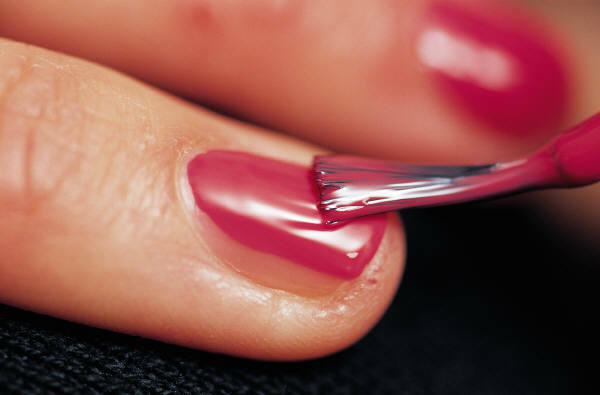 Liquid and powder nail acrylics can be removed by the use of different solvents, whereby acetone is the most common. Usually, it takes 15 to 20 minutes to remove the artificial nail. Another type is commonly known as UV Top coat or polymer resin which hardens under UV light. It depends upon the brand, expensive types can provide a wide variety of properties such as beauty, strength, flexibility, etc. Expensive ones cannot be removed easily by using organic solvents. One famous alternative to gel or acrylic preparations are silk wraps or fiberglass. They can be done by cutting the actual fiberglass in pieces or silk fabric to fit on the nail’s surface or tip. Those who are allergic to chemicals will certainly benefit from using them. Why women use Artificial Nails? There are various reasons why women use Artificial Nails such as to stop the habit of nail-biting and nail breakage. But primarily, most users use these nails for fashion purposes. Furthermore, having stunning nails can be a good way to express one’s creativity. Because of this, different kinds of artificial nails such as fiberglass, acrylic and gel nails are manufactured wherein creative designs are produced to enhance one’s look. How to use Acrylic Nails? Well, before you start putting on flowery designs, you have to clean your nails by washing them with mild soap. After that, put on your preferred color and prepare the tools needed for using acrylic nails. There are wide designs and colors available in the market to choose from. One creative idea is that you simply put a light red paint on your nails. After your nails get dry, use a white shade to paint an upside down heart shape, starting at the base. This may look like a flower head that can surely make your nails attractive. If you prefer, you may add some glitters at the sides. Don’t use artificial nails carelessly. Be careful in using artificial nails due to health risks. If these false nails were not applied properly, they may damage your nail beds and hamper their growth. Do make sure about the salon’s cleanliness before allowing them to do the process. This is applicable if you prefer a salon rather than applying artificial nails at home. Do ask about their sterilization procedure in using the nail tools. It is better to be cautious than to get nail allergies or infection. Don’t use artificial nails if you are nursing babies. It is impractical to use them to ensure your baby’s full protection. It is advised that you do not use them especially if there are glitters that might go to baby’s sensitive skin. Aside from that, since you may be prone to infection, it can possibly be transmitted to the baby. Do regular fiiling and maintenance for your nails. Depending on how fast your nail grows, regular filling can be done every 2 to 3 weeks especially with acrylic nails. Do remember that it is important to apply acrylic nails as thin and natural as possible to let them stay longer, more durable and to cause less trouble. Do remember that removal of these nails may be quite painful. Moreover, it may damage your natural nails if improperly done. To safely remove them, prepare a nail file, an acetone, nail clippers and an olive oil. When removing them, just be very careful so not to damage your natural nails. On the other hand, you might prefer an experienced manicurist remove them instead. Take note that artificial nails are just used to enhance your appearance. There’s nothing like making your real nails clean and presentable. This entry was posted in Beauty Treatments, Nail Care and tagged acrylic nails, artificial nails, nail care on July 24, 2011 by Marjorie.